Prisma is a performant open-source GraphQL ORM layer and the fastest way to build a GraphQL server with any database. GraphQL is becoming the new standard for API development and is used in production by leading tech-companies such as Facebook, Twitter, GitHub and many others. Designed as a cross-platform technology, GraphQL unlocks a rich ecosystem for both client-to-server and server-to-server communication. The first version of Prisma was developed in early 2016, shortly after GraphQL was first released. Originally conceived as the query engine powering the Graphcool BaaS, it has gained widespread use in large and small companies adopting GraphQL. In January 2018, we released Prisma 1.0 as a standalone infrastructure component under the Apache 2 license. With close to 10.000 developers in our Slack, we’re now home to the biggest GraphQL community and run multiple GraphQL conferences and meetups. Compared to traditional monolithic applications, modern backends combine multiple specialized databases (e.g. 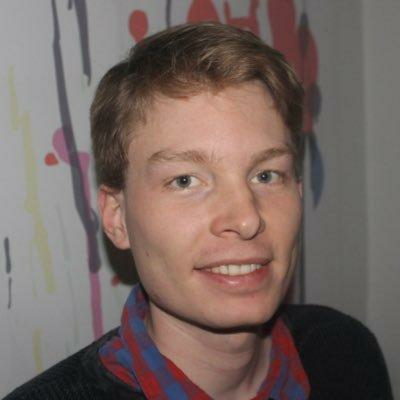 Postgres, Elasticsearch, Redis, Neo4j) which requires complex mapping logic to the underlying databases. Since existing ORMs are too limited and inefficient, this mapping is usually implemented through a custom data access layer (DAL). 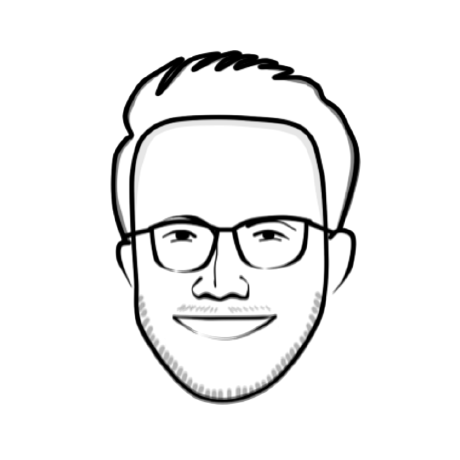 Prisma removes the need to manually implement and maintain a custom DAL by auto-generating a flexible, fast and scalable GraphQL data access layer. 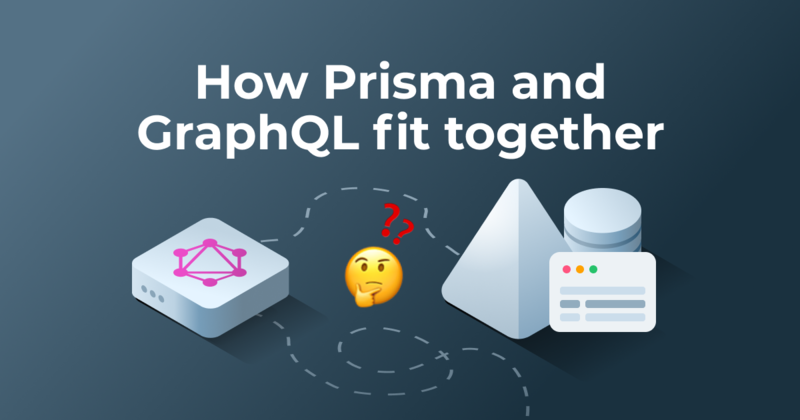 Fulfilling the promise of GraphQL as a universal query language, Prisma enables you to access all of your databases in a single GraphQL query. Prisma works well for backend applications and is especially powerful in combination with GraphQL bindings when building GraphQL servers. 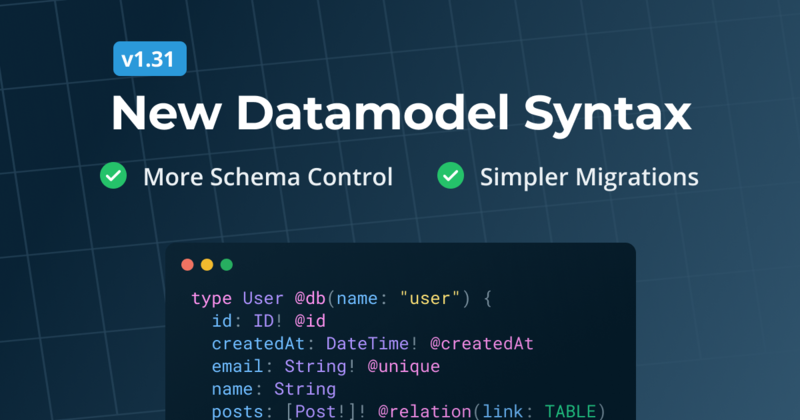 Our goal for Prisma is to support all major databases (currently Prisma supports MySQL & Postgres) and implement cross-database joins to fulfil the promise of a universal GraphQL API. Also expect other powerful features like caching, access control and improved real-time functionality. GraphQL plays an important role in our mission to build the data layer for modern applications. Working with databases and handling state is still the biggest bottleneck in today's software development driving us to build a better abstraction for databases and simplify development. We are thrilled to work with Kleiner Perkins who has led our \$4.5M seed round with participation from exceptional industry insiders and existing investors incl. System.One. With investments in Slack, Front and Figma, Mamoon and Bucky bring significant expertise to our board. Read here why KP invested. Other new investors include Fathom, Nick Schrock (creator of GraphQL), Robin Vasan (Investor HashiCorp/Couchbase/Influx), Nicolas Dessaigne (CEO Algolia), Spencer Kimball (CEO Cockroach Labs), Augusto Marietti (CEO Kong) and Guillermo Rauch (CEO Zeit). Building Prisma is a lot of hard work. We’re proud to be working with an exceptional team of engineers in Berlin and are shortly opening our second office in San Francisco. With this funding, we’re looking forward to significantly expand our team to help building the data layer for modern applications. Please check our jobs page for all current openings. A big thank you to our amazing community and all developers using Prisma or Graphcool to build their applications. We wouldn’t be where we are today without your fantastic feedback and support. If you’re new to Prisma, you can get started via npm install -g prisma and running prisma init or by following this Quickstart tutorial. P.S. 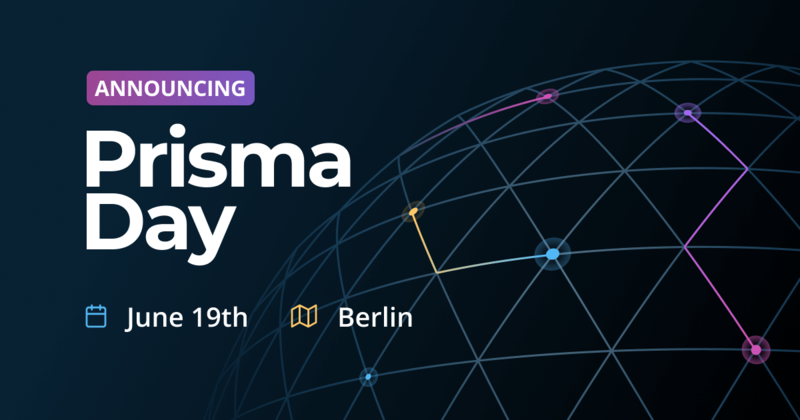 We hope to see many of you next month at the GraphQL Europe conference in Berlin. You can use the code prisma10 for 10% off.